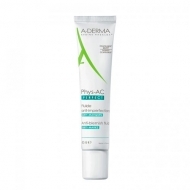 DESCRIPTION: Phys-AC Hydra from A-Derma is a daily moisturizer that helps restore skin's natural skin balance. 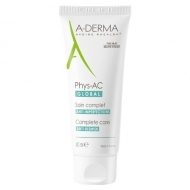 Immediately soothes and attenuates skin inflammation. 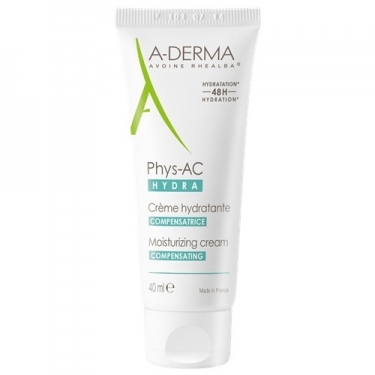 Creamy, fondant texture with moisturizing active ingredients, rhealba oat extract and glutamic acid, for a balancing, soothing, seborgulatory, anti-redness and softening action. The skin becomes softer, comforted and soft. Does not block the pores. 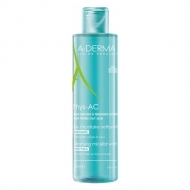 Ideal for oily skin, with acne and fragilized by treatments. 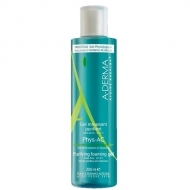 High tolerance, without parabens and without silicones. Apply daily on perfectly cleaned face.